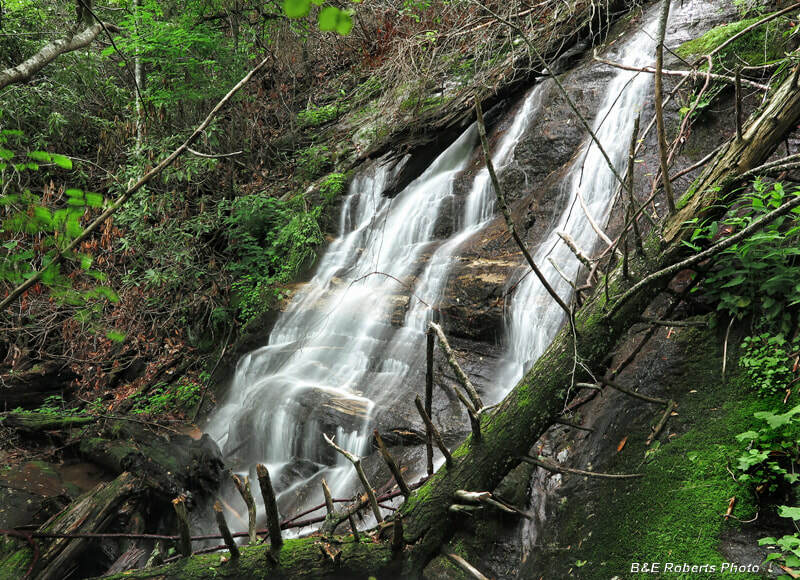 Waterfall Info: From the bottom, this is the third waterfall on an unnamed tributary of the Coleman River that has been dubbed Bear Gap Branch, as it flows from Bear Gap. Best seen during wet weather. A small sliding cascade is located a short distance above this waterfall (see photo below). Access Info: An old, gated forest road - the continuation of Coleman River Road (FS 54) - leads to Bear Gap Branch. 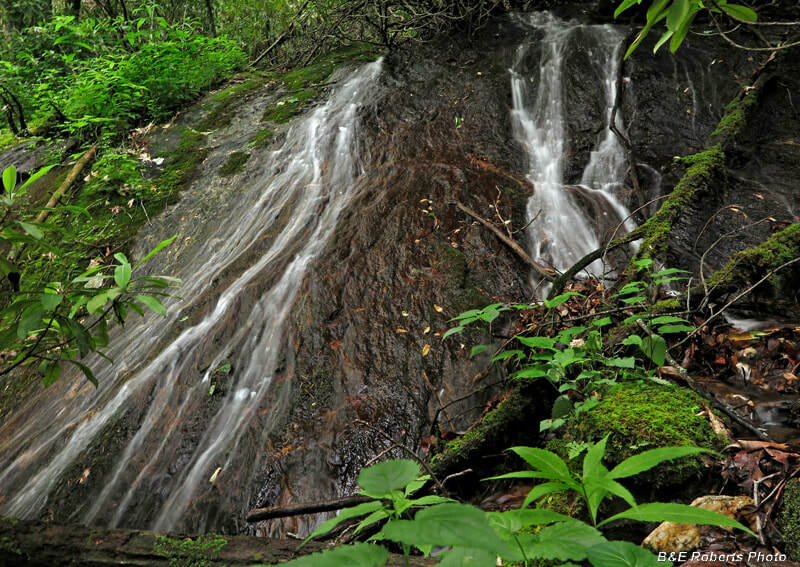 From there, an easy bushwhack upstream along Bear Gap Branch will bring you to the lower falls. Getting to the middle and upper falls farther up will require a tougher scramble and a more difficult bushwhack.